-- Jacob Adams was living the American dream: a loving family, a new home, and a high-profile job designing the world's first atomic power plant. But when tragedy strikes his family, he turns to alcohol to deaden his pain and grief. He becomes an alcoholic and eventually loses his home, his job, and his faith. Thirty years later Jacob lives in poverty in the shadow of the now defunct power plant, where he works as a janitor. Jacob's life takes one more unexpected turn when he becomes trapped in the pitch-black recesses of the plant. In his forced sobriety, the bitter memories he has been drowning for decades begin to surface all around him, dragging him into a pit of regret and despair. Suffering the ravages of alcohol withdrawal combined with the chilling effects of sensory deprivation, he embarks on an emotional and spiritual journey that will take him to the brink of insanity and back. Before his captivity comes to an end, Jacob -- like his namesake from the Old Testament -- will find himself wrestling with God. The town sheriff, a State Police detective, and even a local priest, follow different clues as they search for Jacob. The widening mystery touches off a cascade of changes in the lives of those connected to him. A friendship broken by betrayal is mended, a long abandoned romance is rekindled, dark secrets about the power plant and its caretakers come to light, and a young man's life is forever altered as he uncovers the tragedy that sent Jacob spiraling downward so many years ago. 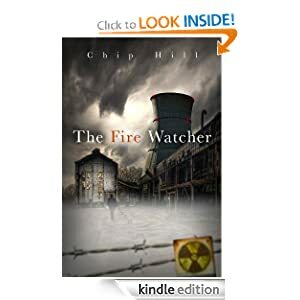 The Fire Watcher or to sample this book for FREE! -- The Last Degree is a fictionalized account of how Freemasons and other secret societies set up the world for takeover. Ancient writings foretell a ‘Shining One’ who emerges as the world’s prophet. A murder of a Most Worshipful mason resembles a secret oath. A cop gets too close to solving the crime. Paranoid preppers go underground, preparing for war. Headlines such as the Norway massacre, meltdown of the European Union, unscrupulous media, animal die-offs, Middle Eastern unrest, and U.S. shrinking power make the plot relevant to present day. 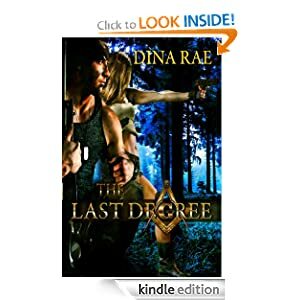 The Last Degree or to sample this book for FREE! -- For Kelly Corrigan, family is everything. At thirty-six, she had a marriage that worked, two funny, active kids, and a weekly newspaper column. But even as a thriving adult, Kelly still saw herself as the daughter of garrulous Irish-American charmer George Corrigan. She was living deep within what she calls the Middle Place — “that sliver of time when parenthood and childhood overlap” — comfortably wedged between her adult duties and her parents’ care. But Kelly is abruptly shoved into coming-of-age when she finds a lump in her breast -- and gets the diagnosis no one wants to hear. When George, too, learns that he has late-stage cancer, it is Kelly’s turn to take care of the man who had always taken care of her — and to show us a woman who finally takes the leap and grows up. Kelly Corrigan is a natural-born storyteller, a gift you quickly recognize as her father’s legacy, and her stories are rich with everyday details. She captures the beat of an ordinary life and the tender, sometimes fractious moments that bind families together. Rueful and honest, Kelly is the prized friend who will tell you her darkest, lowest, screwiest thoughts, and then later dance on the coffee table at your party. 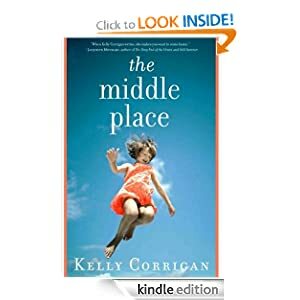 The Middle Place or to sample this book for FREE!